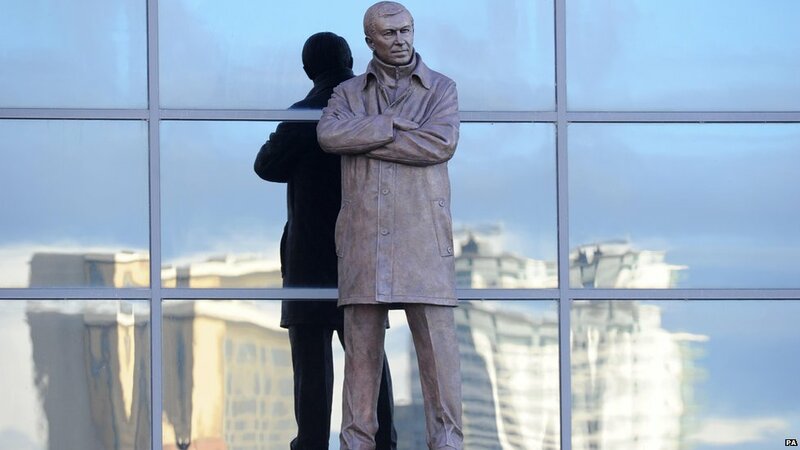 The nine-foot statue was commissioned back in November 2011 to mark 25 extraordinary years at the club, when the North Stand was also renamed the Sir Alex Ferguson Stand. The first-team squad and many ex-players attended the ceremony in honour of English football’s most successful manager. “It’s fantastic, a really proud moment,” said Ferguson. “Normally people die before they see their statue, so I’m out-living death,” added Ferguson. “I’ve had an incredible journey at the club and I’ve had so many great players, some of whom are here today. “They should build this statue for them all, because they’ve been absolutely marvellous. “From 1986 right through to today, the players have given us enormous pleasure. Premier League 12 – 92-93, 94-94, 95-96, 96-97, 98-99, 99-00, 00-01, 02-03, 06-07, 07-08, 08-09, 10-11. Along with many United supporters, former United players, Bryan Robson, Eric Cantona, Ole Gunnar Solskjaer, Peter Schmeichel, Ruud van Nistelrooy, Edwin van der Sar, Andy Cole, Dwight Yorke and Gary and Phil Neville were there for the unveiling while David Beckham and Cristiano Ronaldo sent pre-recorded tributes. Former England captain Beckham said: “What an amazing day for you, your family and for the club. Love him or loathe him, no one can deny his remarkable achievements and he will never be forgotten at United.